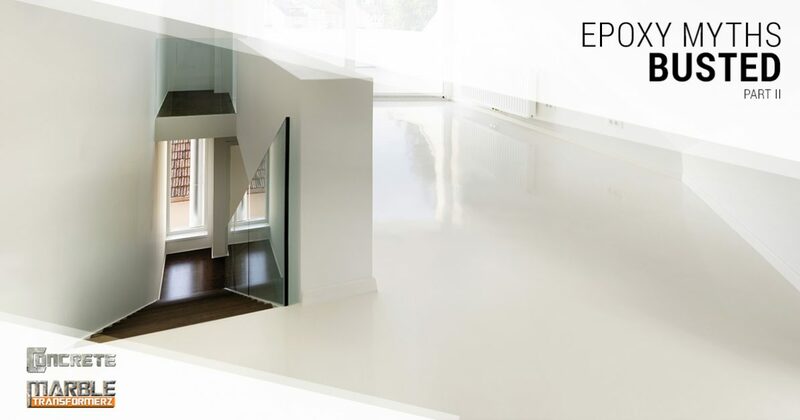 Epoxy flooring is a popular choice for home and business owners in Los Angeles, but there are many myths and misconceptions about this popular and versatile compound. We debunked some of the most popular epoxy myths we’ve heard in our previous blog post, and in today’s post, we’ll continue to clarify popular epoxy myths. When you’ve finished reading this post, get in touch with Concrete & Marble Transformerz for a free epoxy flooring estimate! As we explained in our previous post, many people believe that epoxy coatings are prohibitively expensive and choose to coat their floors with paints and other inferior options. It’s important to remember that epoxy has a specific purpose, and even the toughest paints do not have the resilience of an epoxy coating. Moreover, paint is vulnerable to ultraviolet rays, chemical spills, and forms of physical damage, which will only lead to further costs down the road. Just like every other product you purchase for your home or business, quality matters. You wouldn’t invest in the first car you set your eyes on, and the same principle applies to epoxy. 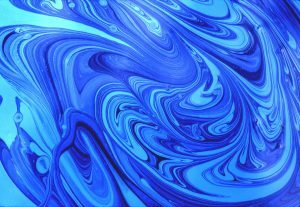 Different manufacturers produce products of varying quality, though it’s often difficult for the average consumer to find a difference between competing epoxy options. At Concrete & Marble Transformerz, we utilize industry-standard epoxy products to provide our customers with installations that last for as long as possible. We’ll help you determine which product is right for your home or business’ needs, and we’ll work with you to find an installation plan that doesn’t exceed your budget. We’ll also provide you with detailed maintenance instructions and tips for making your epoxy last for as long as possible. If you’re investing in epoxy flooring for your home or business, then you may be wondering when you’ll have to recoat your floor. It’s a popular myth that epoxy coatings don’t last for more than a year or two, but the reality is that a properly installed epoxy coating can last for up to 20 years. Improperly applied epoxy coatings will need to be replaced and maintained frequently, but choosing a professional epoxy installation company will ensure that your coating lasts for as long as possible. If you work with harsh chemicals that frequently make their way to the floor, then you may need to invest in epoxy flooring more often, but the average home or business owner will be able to enjoy an epoxy coating for many years. We hope that this series has helped you to understand the value and versatility of epoxy. Keep an eye on our blog page for future posts in which we’ll continue to debunk popular epoxy myths. If you’re looking for a new epoxy floor in Los Angeles, then get in touch with Concrete & Marble Transformerz for a free estimate! Whether you’re looking for a residential or commercial application, we’ll help you find the perfect product for your needs.